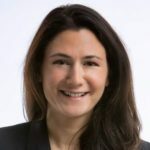 Rebecca Ingber is a Senior Fellow at the Reiss Center on Law and Security at NYU School of Law, in residence during the Spring 2019 semester, and is an associate professor at BU Law. She is a scholar of international and foreign affairs law and presidential power, and she writes about matters of national security, war powers, the laws of war, and the engagement of the U.S. executive branch bureaucracy in these areas. Ingber previously served for six years in the Office of the Legal Adviser at the US Department of State, where she worked on a range of matters, including the law of armed conflict, detention policy, and national security. Ingber received her BA from Yale University, and her JD from Harvard Law School. She clerked for Judge Robert P. Patterson, Jr. of the Southern District of New York. She has been a Council on Foreign Relations International Affairs fellow (2011–2012); an associate research scholar with the Project on Harmonizing Standards for Armed Conflict at the Columbia Law School Human Rights Institute (2012–2013); and an associate-in-law at Columbia Law School (2013–2015). Her work has been published or is forthcoming in the Texas Law Review, the Iowa Law Review, the American Journal of International Law, the Harvard International Law Journal, and the Yale Journal of International Law, among others. Her scholarship may be found on her SSRN page.